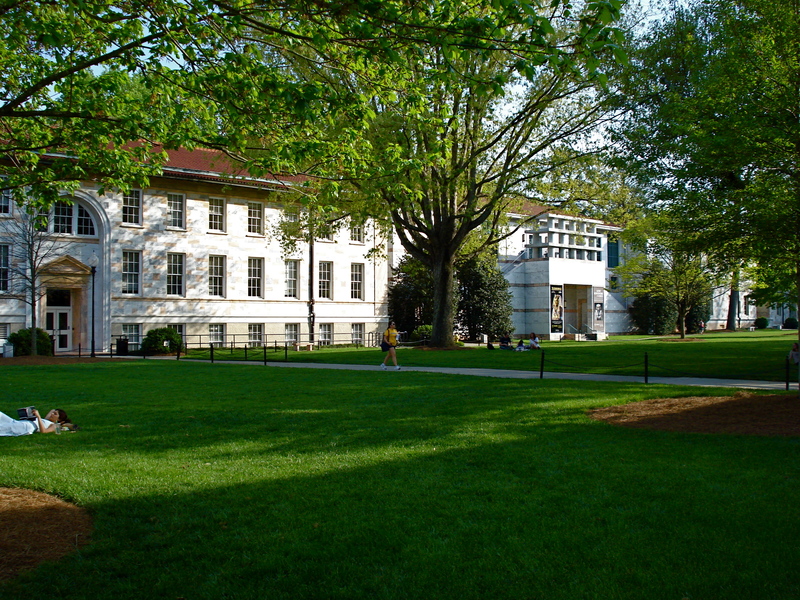 Located in Atlanta, Georgia, Emory University is known for its nationally ranked medical school, as well as its leading medical research. According to the US News Ranking, Emory is the 21st best university in the United States. Although Emory’s medical department is stellar, the prestigious college also boasts a diverse collection of classes. One class is centered around the famous books and films of the Harry Potter series. This class is known as Literature and Cultural Studies Harry Potter, and is listed as an English class under the Emory College of Arts and Sciences Course Atlas Spring 2018 Class Schedule. The class was started in the spring 2012 by English professor Catherine Nickerson, who attended Yale for her undergraduate and graduate years of college. “I discovered the books as a mom [while] reading them to my kids, and I also kind of discovered the intensity of the fan culture around the books. It hit me that this was the generation that grew up with the books, and grew up with the experience… of having to wait for [each one to be published]. [Some students are] able to talk about their childhood, or talk about the chronology of their life, in terms of the books. At the time, it felt like this was [a class that could] reflect on what this phenomenon was in terms of this really intense experience of a story that people have had,” Nickerson said in The Emory Wheel, Emory’s student newspaper. Professor Nickerson is a diehard fan of “Harry Potter,” with a large figurine collection to prove it. “I have them because I’m a big old Harry Potter fan. Like anybody else, I like the action figures. Obviously, it’s done with a little bit of irony, as I’ve posed them in certain ways. A student a couple years ago noticed I didn’t have a Ron, and she found one for me. My kids have given me some for various birthdays and Christmas,” she explained to The Emory Wheel. The course will examine the books and movies in the context of the history of children’s literature focusing on themes of abandonment, power, fear, creativity and resistance to fascism, Nickerson said to The Emory Wheel. Clearly, the class is no walk in the park for those who are looking to gain easy English credits for graduation. The class is executed carefully because Nickerson understands the significance of Harry Potter within her students’ lives. “We read all of the books, and I make each student [when they apply to the class] promise that they will actually reread the books, which usually isn’t difficult to make people do. There is actually a large number of scholarly pieces on the Harry Potter books, so we read essays and articles. This is the really great part of teaching this class. Students know more about the books than many people writing about the books,” Nickerson told The Emory Wheel. Nickerson said students are free to discuss the films. “Using the medium of cinema [is a great method for students] to think about [how] film could help us understand this world,” she said to The Emory Wheel. Nickerson said to The Emory Wheel she also believes that, with Harry Potter being an omnipresent cultural power today, it will continue to be such in the future. “I certainly think that the Harry Potter books will be read 50 years from now, 100 years from now. There will be other exciting phenomenon that will come along, especially because the publishing world is really eager for another Harry Potter series. But I think these books have a depth, a range, and an integrity that means even when people have forgotten about all the marketing stuff that went with the books — the wands, the Halloween costumes, and the Botts Every Flavor Beans replicas. When all that stuff is gone, the books still have their integrity and will endure,” she noted. Emory students who are interested in taking this class will need direct permission from Emory staff. In addition, first year students are prohibited from registering for this class.